A small amount of ivy on a tree can make it look charming, but it can be very harmful. Ivy is one of the most classically beautiful things that many homeowners incorporate into their landscaping, but it can also do major damage to your trees if you aren’t careful. 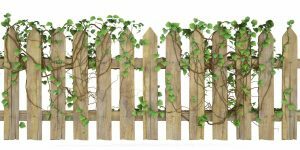 If you are struggling with ivy on the trees in your yard, here is what you need to know about it and its removal. Is Ivy Growth a Bad Thing? A small amount of ivy on a tree can make it look charming and beautiful, but too much ivy on your tree can actually harm the tree itself. English ivy is known for being one of the most dangerous types of ivy, as it grows very rapidly and is difficult to control. Why should you consider removing the ivy from your trees? Trees and ivy are competing for nutrients like water and sunlight. Since ivy grows so rapidly and can overtake the tree trunk entirely, your tree might not be able to get as many nutrients as it needs. How Can You Get Rid of Ivy? Pulling out the ivy roots to prevent regrowth. Use a hand pruner to first cut the stems from the roots and then go as deep as you need to to banish the roots. Don’t rip off the ivy from the tree bark. Instead, let it die on the tree on its own. Use a spray bottle filled with white vinegar and douse the ivy plants with it. If the leaves turn brown, it’s a sign that the work is in progress. Call the professionals at Nelson Tree Specialist for a little extra help! This entry was posted on Friday, June 23rd, 2017 at 4:04 pm. Both comments and pings are currently closed.